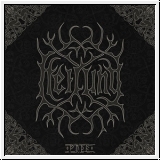 HEILUNG means "healing" in the German language and this also describes the core of the band's sound. The listener is supposed to be left at ease and in a relaxed state after a magical musical journey that is at times turbulent. "Futha" was three years in the making and was finished for production and print at midwinter, the very darkest day of the solar year. At the opposite to "Ofnir", the new album is the counterpart, the balance point, the feminine side. Here, the lyrics originate from old Icelandic poetry. Hence, female voices are more prominent on "Futha".Any attempt to link the band with or bring their music into a modern political or religious context is pointless, since HEILUNG try to connect their listeners with a time before the coming of christianity and modern political ideologies.